Enpass 6 browser plugin doesn't work on RHEL 7.3. Enpass 5 works, but cannot get the Enpass 6 plugin to work. I have installed the desktop Enpass6 and have it running in the background. Browser extension is enabled in the App as well. 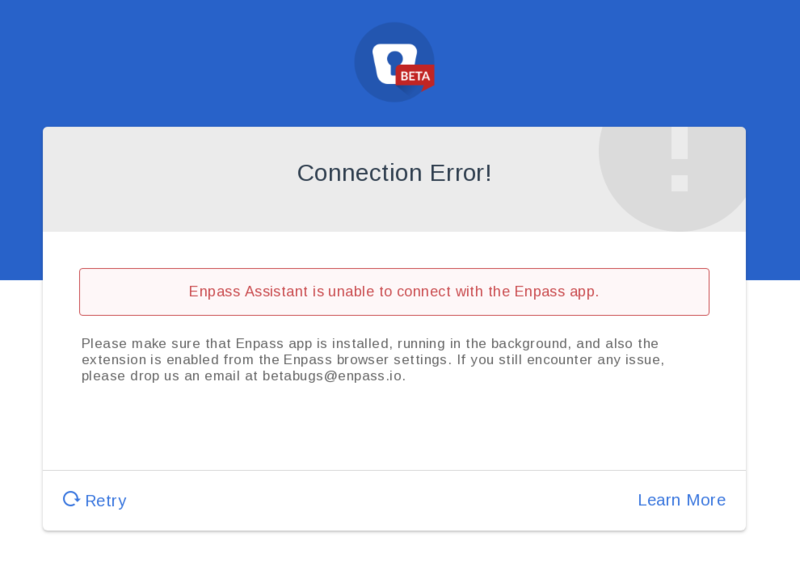 It opens up the new enpass6 app but does not generate the key as it does on other platforms and an error page (attached) after sometime. I tested with Chrome and Firefox addons and neither of them worked.